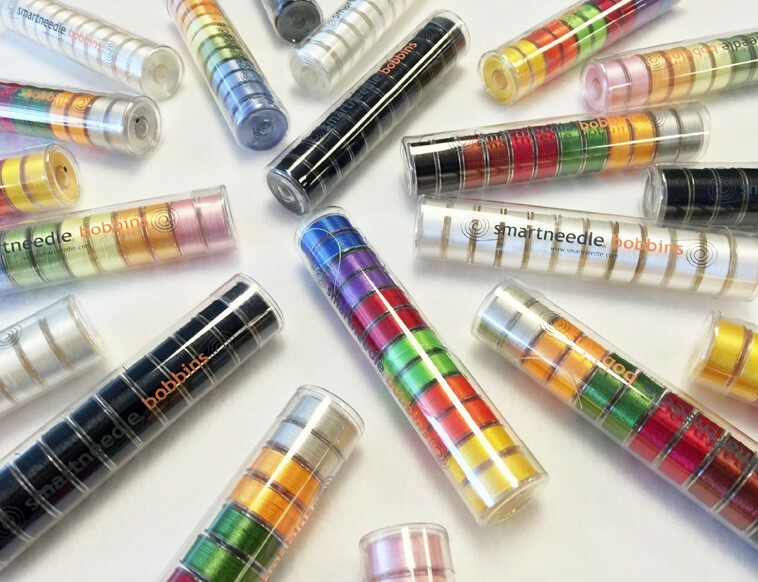 Includes color matching bobbins. 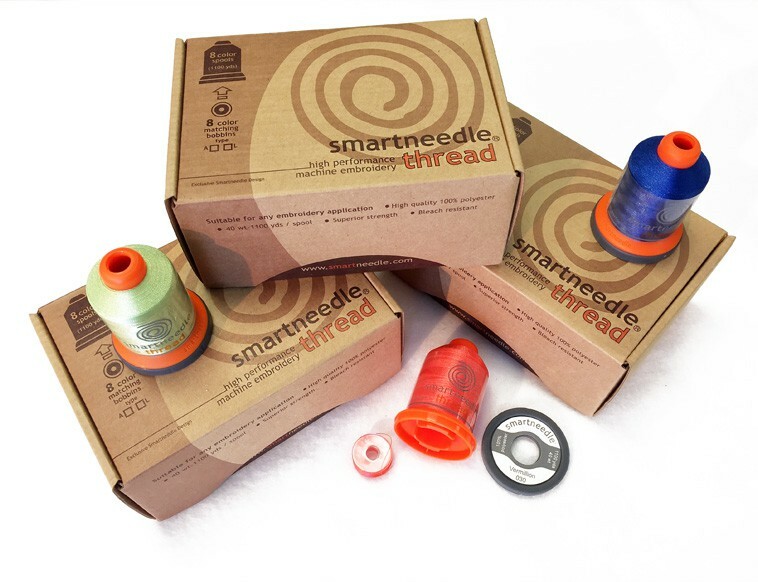 The superior polyester thread wounds on a functional designed spool that carries a color matching bobbin at its base. 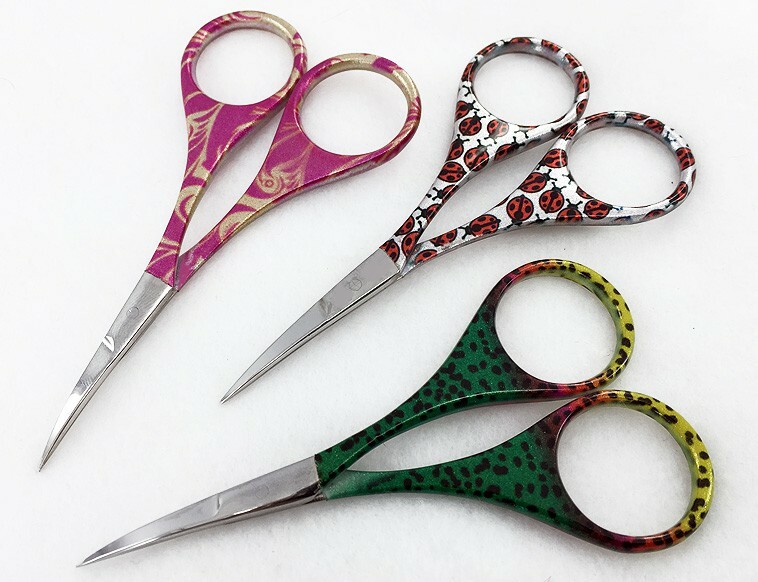 It is great for self standing and In the hoop projects where both top and back thread should color match. 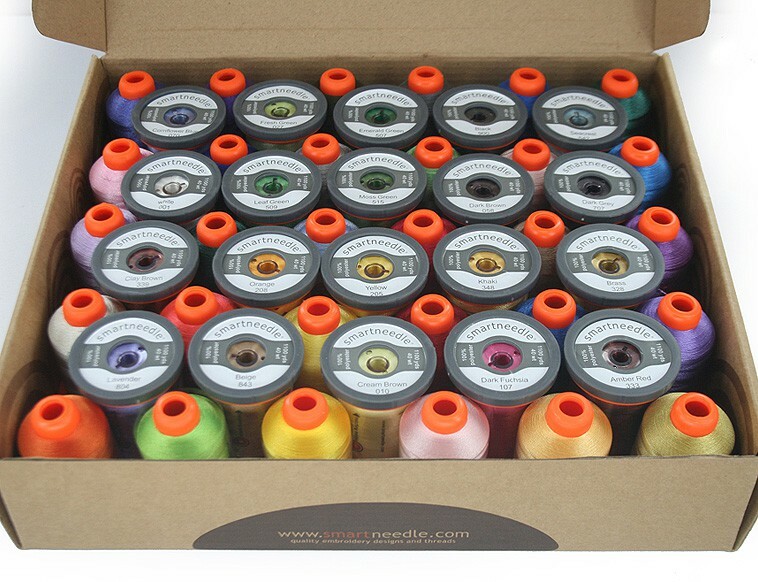 8 Spools of 100% Polyester, 1100 Yds per spool – 40 Weight. 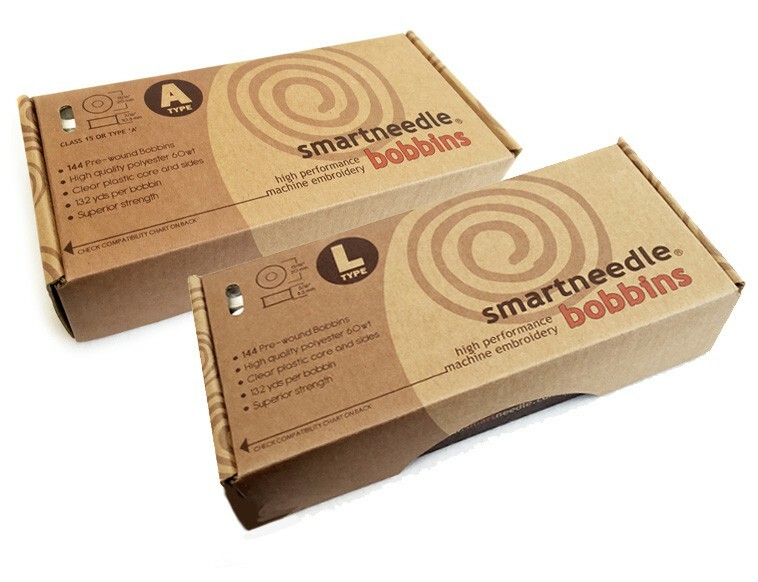 Available with ‘Class A’ and ‘Class L’ bobbins.